Goal: Project Listen is the FREE Educational Music Outreach Program of Riverside Fine Arts Association. 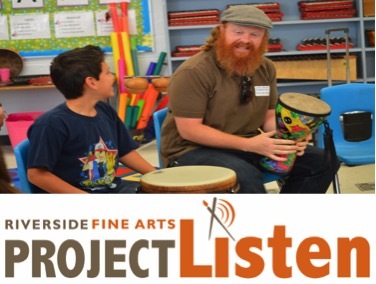 Project Listen is the FREE Educational Music Outreach Program of Riverside Fine Arts Association. Dynamic in-school performances engage students, sparking interest in a variety of musical genres. Project Listen serves all ages and continues growing to reach new audiences. Over 25,000 students and adults are served each year in the Duval county area. The musicians utilized for the Project Listen program are professional and semi-professional performers as well as local teachers and educators.